Lie in; NCC - Tony speaking. Back for lunch via Julie's. Great to talk with Nate - in his deployed state - living in a shipping container in Africa. Tidied the house. Mother's cell over - complete with a number of children; somehow 18:2 is an amusing Female:Male gender ratio; should put in a spot of ad-hoc hacker training I guess; lovely evening. Pillow- fights in the dark with my brood; read stories to babes, bed, slept. Off to see Sue, Clive, Adam & James in P. Risoborugh; had a fine time with them, good company, food, etc. Wandered down the old railway line some way, climbed some trees; home. Sandwiches & Wii & home to put babes to bed. Up to midnight working on Windows / OpenGL VirtualDevice sizing, and de-bonging lots of mess around this code: as with eg. binutils, as soon as you hit things that impact several platforms the quality of factoring drops off, as almost no-one can test & fix all backends. Contract hackery / review with Kendy much of the morning. Thrilled to see Caolan's latest 0.00 Coverity defect score; some fantastic work there - hopefully its now easier to keep the numbers low. Mail chew, debugging windows / OpenGL issues, patch review, security faff; contract review. Mail chew, admin catch-up; tragic lack of hacking; TDF board call. Poked at OpenGL bits with lfrb until late, his amazing work evaporates the vast majority of makeCurrent thrash giving a great rendering performance boost. A more relaxed day, nominally off. Mail scan, catch up on misc. lapsed home/life bits; built ESC agenda, partner call. Took H. from Soham VC to her music exam in Haverhill. Out for a celbratory ice-cream & hot-chocolate. Home, checked mail/IRC. Mail chew, couple of team meetings, calls with guys, shuffling of projects, new builds, worked late trying to tie up loose ends, the pending E-mail deluge etc. Off to NCC, Tony spoke; finger-food & AGM. Back eventually for some serious applied slugging; played Boswars with H. and N. - pillow fights in the dark with four little girls, stories, bed, sermon, sleep. Up earlyish; into Cambridge, poked at some hardware pieces. Met up with Bob & JP, tour of the office, wandered around Cambridge - lunch on King's parade; back for some presentations, progress review & out for some beers; fun. Home, bed. Frantic desk clearing action; into Cambridge to get the car mended & serviced. Hacked on OpenGL pieces, report writing, various calls, more report writing. Lunch. Picked up car, returned home, up late working. Into Cambridge, meeting with Lauren, Laura & Rob. Quarterly mgmt meetings, snatched lunch, board meeting; poked about in the server room; caught up with Daniel and discussed OpenGL funkiness. Train home, stories, dinner, unscrewed various bits, heated the car bumper with a hair dryer (with the air inlet covered to reduce airflow & increase temperature) to make the plastic malleable; pushed out the worst of the dents, glued up the reflectors: much better. Bed. Into Cambridge taking a machine to return to the server room. Quarterly Productivity Mgmt meetings, frantically prepared slides, crunched numbers etc. Meetings much of the day with a partner meeting in the middle. Chewed away at master, GL rendering, texture and context lifecycle, chased misc. rendering problems. Mail catchup. Worked late. Whiled away the very late night / early morning prototyping some Alpha recovery approach to try to drag legacy gtk2 theming into something we can use for GL rendering without loosing more hair; render the captive widget to first a white background, then a black one - and do some math to extract the alpha & original pixels; what could go wrong. Slept an hour on the coach, arrived home eventually at 8am, got a few hours of shut-eye, team meeting(s), paperwork. Dinner with the babes, read various stories. Back to the hacking; discovered that calling wglMakeCurrent on an already active GL Context is unfeasibly slow - whereas checking via wglGetCurrentContext first to avoid re-setting it gave a two to three orders of magnitude performance improvement: hmm. 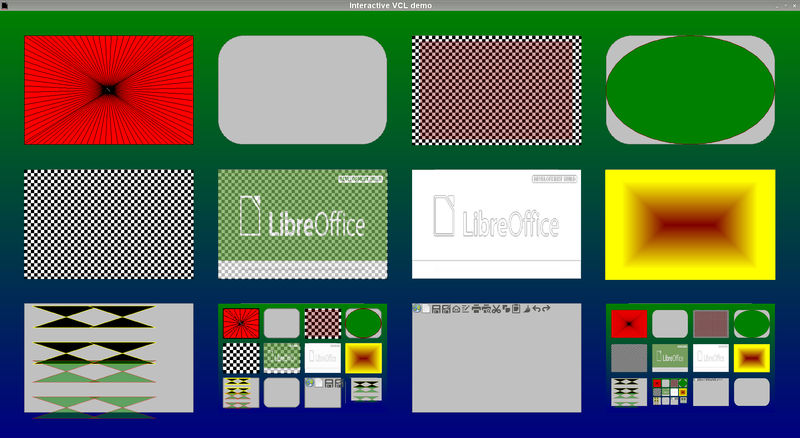 Off to the venue, more meetings, hacking on misc OpenGL-ness with Markus; plugged away at various irritating bugs, helped to explain the recent exciting revival in the LibreOffice UX team - worth giving it another try. Out for a swift beer, and on to the airport with Markus. Flights, missed bus; waited at Heathrow until 5am for a coach. Sleep; to the venue, some hackery, met with various interesting people in the French LibreOffice scene, great to see another Michael hacking away at easy-hacks, and lots of interest. Beer & nibbles event in the evening, out rather late at a sandwich on a block type place. Breakfast, piano / sight-reading practice with H. Early train to Gatwick - hacked away at OpenGL rendering. Fixed 4bit / palette bitmap load / rendering. 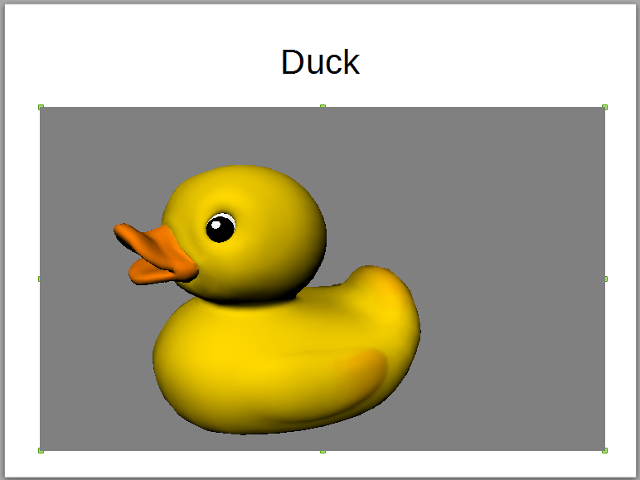 Significantly expanded vcldemo Bitmap rendering tests. Arrived, met up with Markus & Bjoern at the hotel, then with Arnaud - to the venue & out for a later meal with lots of cheery conference types. Mail chew; fun code-reading with Lubos. Dug through the writer code to find the missing copyBits case killing document content, which appears to be rendered through a stack of obscure VirtualDevices for no really good reason in the modern world. Lunch. Partner poke, mail, ESC call. Booked ground travel for the Toulouse hack-fest, leaving tomorrow. Poked at GL rendering oddities. Back to paperwork, performance bits, report writing, partner call, more E-mail chew. Dinner, partner call, vcldemo hackery - implemented some LineCap / Join / AA rendering tests. Worked late. Built ESC stats, suitably appalled by GroupOn's behavior, and then relieved by them backing away. Lots of time reading profiles variously, and hacking on OpenGL pieces. Lydia over after dinner, reversed into her car somewhat: bother. Worked improving vcldemo until rather late. Up early, sync. with Markus, mail chew, chat with Matus, then Lubos. Plugged away at profiles. Relaxing day; Simon Matthews at NCC; home, read some Terry Pratchet; bussed M. to a Rememberance Day service, out for a slowish run with E. M. and N. in the dark; fun. Back, put babes to bed, read stories; sleep. Up early, hacked with Markus a little; went through the log of 'annual' trips I intend to have with my babes - discovered a serious lack; out into Cambridge on a trip with M. to the Botanical Gardens and into town for a nice meal. Worked at downgrading an openSUSE 13.2 machine to openSUSE 13.1 to make fglrx work - played table-football with M. Took the machine home for further medicine. Played with babes, up-late hacking VCL/GL and re-installing machine. Poked at OpenGL rendering pieces for much of the day, significantly expanded the vcldemo demo. Misc. paperwork, mail responses, release planning etc. Up in the night, bit of scripting, cleanup, test build pokeage, ran some builds. Lunch; spent some time reading expat to try to work out what it is spending its time doing and why. ESC call. Mail chew etc. call with Matus, sync with Michal. Lunch, report writing. Hacked in the evening reviewing and merging some of the Munich students' Idle handler work to master, and adding an UNO API to allow us to process pending work remotely. Hopefully that can help to eliminate those odd performance effects. Great to see Tobias & Jennifer's code. Mail chew, out to buy some matched disks; hmm. Built ESC bug stats, travel into Cambridge for lunch & fitting. Discovered I was missing some SATA cables - sadly PC cases don't have spares these days; walked to Maplin to buy some. Fitted new disks, worked out how the KVM switch works: pressing scroll-lock twice and space is your friend. Out to visit Steve Maddocks at Addenbrooks; back - more mail & hackery. Mail chew, admin bits, couple of team calls, Linux Format Column, partner poke. Off to NCC - ran the kids group downstairs: trying to get a moderate ground on Baptism in the Spirit. Back, lunch; quartet practice with some little girls - going rather well. Finished The Rats of NIMH with M. Unwound a nest of computer problems in the afternoon with babes; James Herriot movie, slugging sleep. Up rather late, out to Bury St Edmonds gardens to play, fireworks party being set-up, and (apparently) cardboard-tube mortars in-use (almost certainly made by my Brother-in-law). Back for late lunch, and applied slugging.